To be the gold standard of dealerships for both our employees and our customers. We will do all things honestly, ethically, and above reproach. 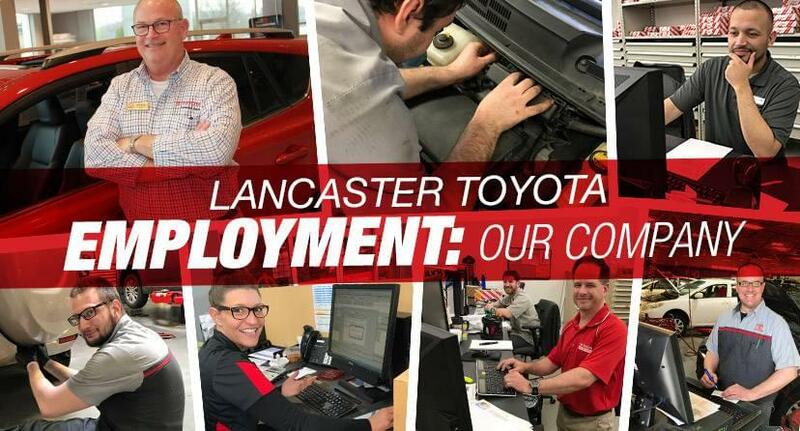 Lancaster Toyota is a three generation family-owned business. The company was founded by Bob Allen in 1973. Our current President is Bob’s son Rob Allen, who started working in the wash bay when he was 10 years old. He has had a lifelong passion for the company. Rob’s son Brad Allen is our Assistant General Manager. He aims to further the legacy started by his grandfather and continued by his father. We celebrate a high volume of business in all of our departments. Many of our customers have had a relationship with us for numerous years. Our dealership has a favorable reputation in our community and we support many charitable organizations.